Alloy Steel A387 GR.11 Cl.1 Plates, GR.11 Cl.1 Alloy SA387 Cold Rolled Plate Exporter, Alloy Steel GR.11 Cl.1 Hot Rolled Plate Supplier. 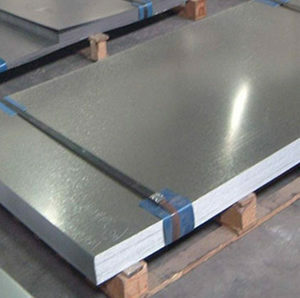 Marc Steel is a known manufacturer and supplier of ASTM A387 GR.11 CL.1 Alloy Steel Plates, which are manufactured by using quality stainless steel in different wall thickness and diameters. We are also the Leading Retailer and Importer of ASTM A387 GR.11 CL.1 Alloy Steel Sheets. 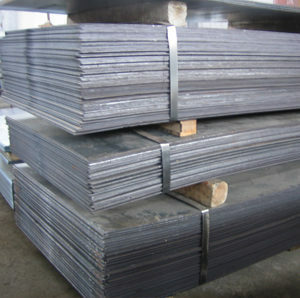 Alloy Steel ASTM A387 GR.11 CL.1 Plates Buy Alloy Steel Plates GR.11 CL.1 at affordable price from us. We are one of the prominent firms in offering a wide range of ASTM A387 GR.11 CL.1 Alloy Steel Coils in the market. Our company offers ASTM A387 Alloy Steel GR.11 CL.1 Plates which is precision designed to provide satisfaction to our clients. With the extensive knowledge and experience in this respective domain we are engaged in offering ASTM A387 Alloy Steel GR.11 CL.1 Sheets. Meanwhile, these ASTM A387 Alloy Steel GR.11 CL.1 Coils have excellent resistance towards heat, stress-corrosion cracking and corrosive medium. Further, this ASTM A387 AS GR.11 CL.1 Sheets is also tested on various parameters of quality and is widely demanded by clients. The offered ASTM A387 AS GR.11 CL.1 Plates are manufactured utilizing best quality raw-material and the advanced technology. This offered ASTM A387 AS GR.11 CL.1 Coils is widely used in various industries. Our range of ASME SA 387 Alloy Steel GR.11 CL.1 Plates finds extensive application in sugar mills & distilleries, pumps & petrochemicals, cement, construction industries and steel plants. These ASME SA 387 Alloy Steel GR.11 CL.1 Plates are also used in several mechanical and automobile industries which are installed for the purpose of maintaining a desirable amount of pressure and consistency. Taiwan, Vietnam, Brazil, Yemen, France, Gambia, Morocco, South Korea, Tibet, Iran, Malaysia, Thailand, Gabon, Sri Lanka, Sweden, Costa Rica, Saudi Arabia, Belarus, Jordan, Chile, Trinidad & Tobago,Tunisia, Zimbabwe, Poland, Bangladesh, Libya, New Zealand, Canada, Iraq, Singapore, Hungary, Kazakhstan, United Kingdom, United States, Lebanon, Argentina, Colombia, Romania, Bolivia, Denmark, Norway, Australia, Ghana, Belgium, Pakistan, Russia, Angola, Slovakia, Venezuela, Namibia, Croatia, Turkey, Bhutan, Czech Republic, Nigeria, Portugal, Finland, Bahrain, Mexico, South Africa, Ecuador, Macau, Estonia, Mongolia, India, Hong Kong, Ireland, Mexico, Afghanistan, Peru, Algeria, Nepal, Azerbaijan, Poland, Nigeria, Switzerland, China, Netherlands, Kuwait, Chile, Serbia, Austria, Oman, Indonesia, Bulgaria, Italy, Puerto Rico, Ukraine, Spain, Egypt, Philippines, Lithuania, Greece, Japan, Kenya, Qatar, Iran, United Arab Emirates, Germany, Israel. Kanpur, Doha, Ankara, Chiyoda, Jeddah, Perth, Kuwait City, Granada, Nashik, Bangkok, Mexico City, Howrah, Ahvaz, Lagos, Jakarta, Secunderabad, Geoje-si, Colombo, Chandigarh, Kolkata, Sharjah, Singapore, Houston, Faridabad, Busan, Thiruvananthapuram, Ranchi, Ludhiana, Noida, Seoul, Gimhae-si, Haryana, Sydney, Algiers, Karachi, New York, Al Jubail, Coimbatore, Chennai, New Delhi, Kuala Lumpur, Manama, Gurgaon, Montreal, Port-of-Spain, Bogota, Mumbai, Dubai, Al Khobar, Milan, Muscat, London, Ulsan, Dallas, La Victoria, Tehran, Ho Chi Minh City, Rajkot, Ernakulam, Petaling Jaya, Pune, Melbourne, Nagpur, Riyadh, Caracas, Vadodara, Calgary, Navi Mumbai, Ahmedabad, Jaipur, Jamshedpur, Pimpri-Chinchwad, Surat, Indore, Hyderabad, Edmonton, Toronto, Atyrau, Santiago, Rio de Janeiro, Dammam, Bengaluru, Thane, Moscow, Brisbane, Lahore, Istanbul, Baroda, Abu Dhabi, Vung Tau, Hong Kong, Los Angeles, Aberdeen, Courbevoie, Cairo, Bhopal, Hanoi, Madrid, Visakhapatnam.